My Journey At Mike West Fitness began May 21, 2018. I joined without a defined goal in mind. I met Mike for a consultation and to talk about what I wanted to get out of my personal training. Not knowing myself, it was hard for me to answer some of his questions but came out of our conversation hopeful. For me it was to look and feel better, as well as a stress reliever or just something to do. I work a very physical job and stay somewhat fit (so I thought) I could see I had gained weight and could lose a few pounds. So that’s how it all began. I chose to do two sessions a week. Monday and Friday sessions that are a an hour long but you need to allow about 30 min to get all your stretches in. The first few workouts are going over how to do your stretches and to get your max numbers to get a base line of where you are at. Then the beginner training began. Mike prints some pages for you to follow that are very straight forward. I won’t lie the first weeks (and even month) are tough, Very tough. You WILL BE SORE! But it’s ok! I questioned why I was doing this when the pain and soreness became almost unbearable! Is it even worth it? After the first month was over, things began to become a little easier. Soreness after almost every work out…yep, still there! But as the saying goes….”no pain no gain” I kept rolling with it and I’m so happy I did. After just one month I started to see a change. I actually couldn’t believe I started to see and feel change that fast. I had been going to a chiropractor because of back pain for at least a year before I started Training with Mike. After one month of working out, my back started to feel better. I was sore but only muscle soreness. After the second month my back pain had almost vanished completely. Being on my third month I am happy to say my back pain is completely gone and hasn’t felt better in years! Mike trains you the right way, working muscles the way they are supposed to. He knows what he is doing and it shows. I’ve found myself wanting to go to the gym. I never thought I would say that but it’s happened. I couldn’t be happier with the results I got in a short three months. For me it was 2 hours a week with no diet plan for two months and a month of diet. Seriously think about it, 3 hours a week? Most of us have that small amount of time to spare in a week. I encourage everyone to talk to Mike and consider working out at Mike West Fitness. It’s in the slogan. It’s a real gym and you get real results. “REAL GYM… REAL RESULTS”…There’s no better way to describe Mike West Fitness. Training at Mike West Fitness has been a life changing experience for me. I went in wanting to lose weight never thinking I’d gain strength, confidence and life long friends. 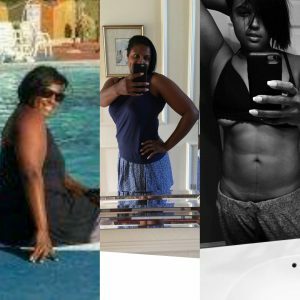 I met my initial weight loss goal and exceeded unimaginable expectations: competing in powerlifting competitions, training strong woman programs and flipping a HUGE tire under 8 mins in the required distance! Your gym has truly changed my life and I’m forever grateful I walked in 2 years ago! As a professional actor, staying fit is a job requirement and my physique determines what roles I can play. I came to Mike West Fitness in 2014 to add muscle in order to play cops, military members and the like. Over the course of 6 months with Mike, I gained a significant amount of size and strength. He then created a program to help me lean out and achieve the look I was seeking. The skills l learned from Mike included not only how to lift, but how to support that work in the gym with my work in the kitchen. To this day, these skills remain my foundation for maintaining my physique. I’m not a bodybuilder by any stretch of the imagination and I didn’t add a trophy to the dozens already on Mike West’s walls. But that was never the goal. I’m a Mike West success story because Mike West turned me into the thing I always hoped I could be. I couldn’t be where I am without him. What I learned from Mike is not only what got me here, but it’s what will lead me to where I’m headed next. I’m forever grateful to Mike West Fitness. If your looking to change your physique or your fitness, in a big way or small, you won’t find a better gym, community of athletes or trainer than at Mike West Fitness. 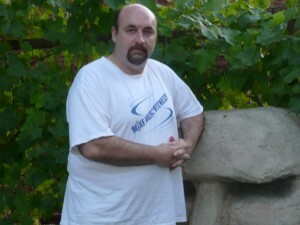 I began training with Mike West 3 years ago, with a main goal of losing weight. By that time, I had peaked at my highest ever weight – 270 pounds. Working with Mike I was able to get down to 250 pounds, but it took about 1 year because I had not yet fully committed to both exercise and modified eating habits. My job and life commitments limited me to two hours of workout time per week, although many of the sessions were missed due to my travel schedule. The important thing was that even at this minimal commitment level, I was making some progress and Mike patiently continued to provide the solid foundation of exercise and muscle building that would prove key to future progress. The entire 2nd year of our work together yielded no significant progress in weight loss, mainly because my work and home lifestyles permitted or even exacerbated my bad eating habits. I bounced between 245 and 255 pounds, despite the aggressive and varied workout programs Mike employed. Again, since weight loss is more than 50% diet, at least the workouts kept me motivated and developed important underlying muscle tone and stamina. Working the routines around my chronically arthritic knees, Mike and I were in-tune from a workout perspective. Finally, after 2 1/2 years of motivated workouts but not yet motivated diet control, I have finally put the two together and am now seeing the results. In the most recent two and a half months I have lost 40 pounds and am currently at 215 pounds. Mike has maneuvered the workout routines to maximize my motivation and weight loss potential, and as our 3rd anniversary of working out together has passed, I remain optimistic that our teamwork will take me to my goal of under 200 pounds with a physique that I and my family will benefit from for years to come. Thank you, Mike, for your patience and dedication to providing motivational customized workouts that have helped me achieve my goals. Let me begin with introducing myself. I am a 41-year-old woman who has played all the roles of being a wife, mother, sister and friend. Through out these years I never felt that I set goals or personal challenges for myself. I would go to the gym, periodically and spend a good two hours lifting light weights and doing moderate cardio on the machines. And, to my belief I thought I had set the bar and my workout routine was beyond improving. Then I started personal training with Mike West. Not only did he take my workouts to a new level but, he gave me self confidence not only physically but mentally. He taught me that anything is possible if you continue to move forward with a sense of dedication and discipline, One of the things that impress me the most about Mike is the different levels of skill and knowledge he offers his clients. He sees everyone he trains all as unique individuals with different goals. Mike will motivate you just a little harder than you felt you could possibly achieve with new levels of fitness and strength. I can’t say enough positive things about Mike West’s Fitness. I have never had so much fun and looked forward to going to train as much as I have with Mike. I recommend Mike West to anyone looking to better oneself from the inside out. I can personally guarantee you that you will see results beyond anything you could imagine. Believe it or not I first met Mike West when he interviewed to be a trainer at the club I was managing. He was very impressive with a ton of credentials. Further, I have been working with the best trainers for many years and he stacked way above them with his range of expertise. I couldn’t wait to try him out and see what he could do with my physique. After my first 3 months with him I felt like an extreme athlete who could take on any event. That’s when I realized that if I ever decided to have another baby then he would be the one to help me get back in shape, fast. Well, guess what? I did have another baby and took 6 months off from the gym during my maternity leave and met up with Mike to start another journey of fitness. This time he not only got me back in shape with his amazing fat burning program, but he is the main reason I got on stage and competed in the televised Ms.Bikini Universe pageant and placed and amazing fourth place when my baby was only ten months old. It wasn’t easy but I can’t wait to do it again. I have been an athlete my whole life and have worked with many different trainers, I feel so lucky to have found Mike West. I have also been a successful trainer and have been working in the fitness industry for 15 years and know that there are a lot of phony trainers out there but Mike is one of a kind. As a client you know you are in good hands and you trust his knowledge completely. Believe me his workouts are tough ,but thought out and results are guaranteed. 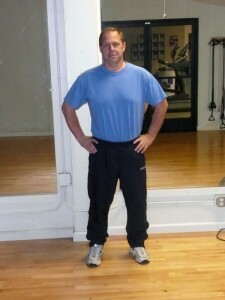 Mike West has been my personal trainer since January 2004. I started with Mike after being diagnosed with Reflex Sympathetic Dystrophy, a nervous system disorder. I was unable to put any weight on my right leg for months. Of course I put on some weight about 30lbs. After undergoing physical therapy three times a week, I started to do cardio at the gym. I began training with Mike about six months after my initial injury. Training with Mike continues to be a fun experience and you never know what to expect. Each session with him is different and he really knows how to mix it up so you never get bored. Although I still suffer from RSD I have been able to return to work part time. I feel physically fitter than I did when I was RSD free and am extremely pleased with the progress I have made with Mikes guidance. Training with Mike has been a lifestyle change for me and I would recommend him to anyone no matter what your goals as not only will you achieve those goals you will surpass and then create new ones. I am working out harder now than I ever had in the past and am enjoying the benefits of feeling and looking fitter. Thanks Mike! I first met Mike at a fitness center in Pleasanton. I had never been to a gym before and they opened one around the corner from me so I decided to try it out. I retired in 2000 at 278 lbs and I was in bad shape. 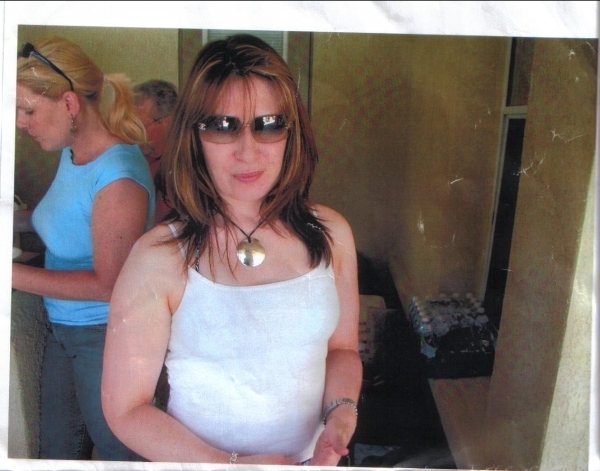 I lost 65 lbs but had no muscle tone. I am 64 years old and broke my back in an auto accident sept 2003. Before I started working with mike I could hardly get out of my chair ,which was Feb 2004.Now as a result of his knowledge of fitness and training I feel that I am in best shape I’ve been in for years. He has worked around my injuries 100% . I can’t say enough words of praise for all the work that mike has done for me. I consider him a great physical trainer and now, a good friend. I came to Mike at the end of November 2004. I wanted to loose some extra body fat. I have been an athlete my whole life, have a bachelors and masters degree in Exercise Physiology and am a personal trainer. So getting exercise in was not my problem. I needed Mike’s expertise to help me lean out and build muscle. My goal was to compete in a figure competition. I have never trained for anything like this nor knew the proper diet to get me to my goal. Mike was the one who showed me that my goal was attainable and how to reach it. I set my goal at competing in a figure/bikini diva competition in May 2005. That meant I had about 6 months to reach my goal. I trained with Mike three times for the whole six months. I started out at 27% body fat. I ended up at 15% body for my competition. Mike worked me harder than I have ever worked in my life. He helped me do things that I never thought I would be able to do. Like most women I was a cardio junkie. I was afraid of heavy weight training and put more focus on the hours of sweating on the Stairmaster than what I needed to do. I needed to build up muscle to increase my metabolism. Mike took me off of my excessive cardio sessions and increased my weight training. Low and behold I started leaning out. I was not getting all big and bulky either. Mike helped me reach my goal. It was not easy, the workouts were tough and the diet was hard to follow at times. I learned to really pay attention to what I eating and that every bite counts. I also learned that I was eating way too big proportions. I really was ok with eating the right serving size. I also learned that I did not need to be going out to eat all of the time and that I could say no to things. It was very empowering know that I had the will power and self control to say no. Mike had me eating 5 smaller meals throughout the day. This helped me feel satisfied throughout the day with out over eating because I never really got to the point where I was starving. I have an increased self confidence in myself after achieving what I achieved. I taught me that I can do whatever I set my mind to. I could not have done it without Mike. He believed in me, gave me the support, guidance and encouragement that I needed. He also provided accountability. I knew that I had to do my exercise to my fullest because he would expect nothing less. Mike is dedicated to his clients and I know he is sincere in wanting them to succeed. Thank you Mike for all of your hard work, you will never know how much I appreciate it. I began training with Mike West about 4 years ago. Before training with Mike, I had another trainer for a few months who employed common, typical training methods, whichwas a fine way to begin physical training, but my results were no where near what I would achieve from Mikes’s training techniques. One of my goals was to rebuild my core muscle groups after recovering from debilitating back problems. 10 years ago i was unable to stand or walk due to cumulative back trauma. Instead of risky surgery which offered only a 45% chance of success, i opted for a more conservative approach that involved a series of cortisone shots with physical therapy of gradually-increasing intensity (though my doctors were very skeptical that i would ever walk normally without surgery). However, this recovery process was not without significant cost: I lost muscle in my back and legs due to the cortisone shots, and i had gained weight and lost abdominal muscles from my sedentary condition and from the years when i could not engage in strenuous workouts. Years of physical therapy and several months with the other trainer helped get me started. However, the results i got from, my training with Mike quickly proved to be leaps and bounds greater than with typical training methods. When i first started working with Mike, I could barely do light aerobic or abdominal exercises and could not conceive of doing squats or deadlifts ( picking up a barbell loaded with even a fraction of my body weight was a daunting task). Mike applied his creative fitness approach to my particular case gradually and progressively mixing a variety of aerobic exercises with strength training, while taking into account my serious back injuries. The results i achieved have been phenomenal. 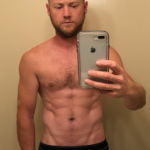 Besides significantly reducing body fat and building muscle mass in key areas, I have gradually worked up to routines that my doctors and I would not have thought possible a couple of years ago. For example, recent workout programs have me performing several sets (20 resp each set) of deadlifts at much more than my own body weight, in the same session with a long list of other exercises. In addition, I recently hired a much younger man to assist me in a 3-day landscaping project that required manually hauling 16 cubic yards of landscape rock onto a steep grade using buckets and hand carts. The man claimed to be in great physical shape and listed his football and other sports experiences as evidence of his fitness to do this kind of labor. By mid-day of the first day at work, he was begging me to slow down and to take more breaks. Yet i was not fatigued, even though i had hauled twice as many loads as he. There is no way i could have done that job had i not been training with mike. I would not have been able to haul the first load of rock up the hill, let alone some 30 or 40 loads. And i would be very surprised if anyone my age could have kept up with this stout younger man whose ability to do physical labor was the advertised advantage for hiring him. But the fact that this fit and much younger man could not keep up with me after only a few hours of work is an incredible testament to the progress that I’ve made from my training with Mike West.